Napa is known as the “Disneyland” of wine, where opulent tasting rooms in modern architectural marvels await busloads of tourists intent on swilling overpriced juice standing three deep at the bar. The reputation of being expensive and snobbish is inevitable and partly deserved. 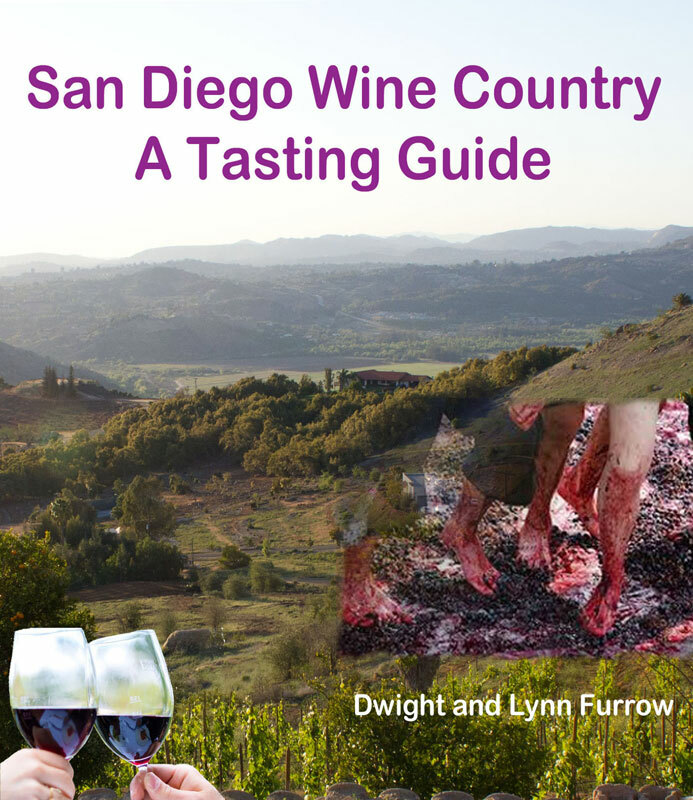 If you’re a wine lover, it’s worth patronizing these places despite the expense and the crowds if only because many are icons that once and, in some cases, continue to set the standard for quality American wine. But once you tire of the glitz and glamour and do a little hunting you can find something quieter, more authentic, offbeat, and artisanal. First up is Burgess located a few miles up Howell Mountain. They’re not exactly small although, by Napa standards, their 17,000 case production is on the small side. And they’re not new; they been around since 1972. That’s in part what makes visiting their tasting room interesting. Their staff has experience and they know the ins and outs of Napa as a wine region. The conversation was intimate and informative and the wines are excellent. I especially enjoyed their Petite Sirah. Holed up in a small industrial park southeast of the city, Holman Cellars is about as artisanal as you can get. This is one small winery that supports several labels. Winemakers Jason Holman, proprietor of Holman Cellars, and Kevin Cadle of Cadle Family Winery share the space and help each other out by pooling resources and labor but offer distinctly different wine selections from their respective labels. When you make an appointment, one or the other will show you around and pour wines from both labels. Holman’s Uncharted line is described as “unusual varietals”, from “secluded vineyards”, and using “unconventional production techniques” all in small lots that add up to about 600 cases per year. In other words, you don’t know what you’ll get when you walk through the door. Kevin Cadle produces wine from grapes sourced from Chalk Hill, Knight’s Valley and Carneros, also in small lots adding up to about 400 cases. With these production levels, you won’t find these wines in Safeway. From Cadle the 2015 Gewurztraminer was Alsatian in style and quite lovely. The Sangiovese was ripe yet still Tuscan-like as the grapes held on to the acidity that gives this Italian varietal its freshness. The Malbec from Knight’s Valley was uniquely earthy and also with robust acidity. These are terroir focused wines made in an old world style (at least as old-world as you can get with warm California sun.) From Holman Cellars, the Grenache Blanc was outstanding with lots of hazelnut and layered textures, the Bordeaux-style blend sourced from the relatively cool Coombsville region was floral and elegant, and the Petite Verdot was rich and structured. This is an interesting tasting experience and unusual in Napa. 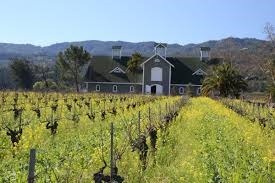 You see up close how a small, artisan winery can survive in Napa where land, space and grapes are enormously expensive. 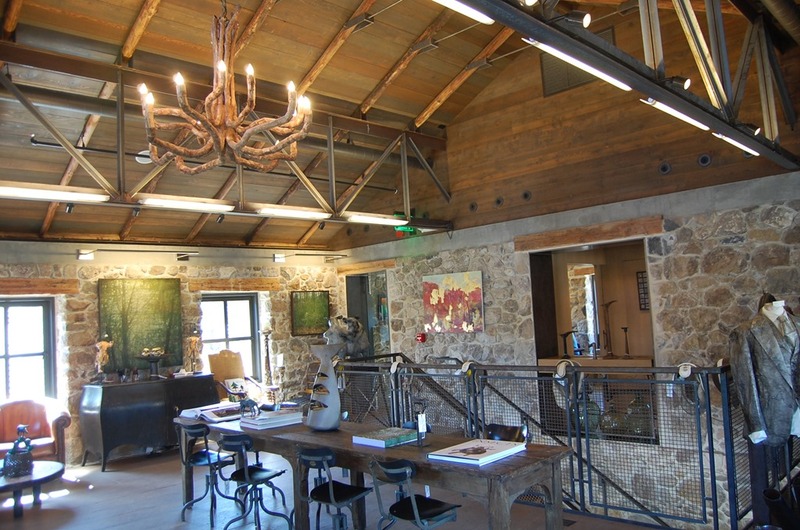 Situated on the main drag in Yountville just down the street from the French Laundry is Ma(i)sonry, an art, design, and wine gallery housed in an historic building. The art on display is impressive and continually changing with a curator on site to keep the collection up to date. But for wine lovers it offers the opportunity to taste the offerings of 10-15 small Napa producers who don’t have their own tasting facilities. We made an appointment to taste the Pahlmeyer wines, which are poured here. Pahlmeyer is too well-known to be under the radar as they make one of most highly touted Napa Valley Merlots. But the best was yet to come. Our host was kind enough to let us taste the Sauterne-style. late harvest wine from R.H. Harrison. That is what sold me on this venue. The wine is gorgeous with sumptuous apricot cosseting buttered almond aromas. Pear flavors emerge on the palate as well giving way to a candied citrus finish, pure, clean with a texture like satin and great length and life . R.H. Harrison, for many years a winemaker at Beringer, started his own winery in 2006 to specialize in this delectable treat. His entire production is focused on botrytized, late harvest wines, a perilous adventure as he depends on nature to develop the botrytis spores each year. Sometimes it happens; sometimes it doesn’t, and even when it happens he has to harvest the grapes before the birds get them. I doubt I would have discovered R.H. Harrison if not for the venue at Ma(i)sonry. What other gems lurk on their tasting menu? Only another visit will tell. The rooms have the feel of a well appointed living space and the courtyard is enticing when the weather is good. Lastly, it’s odd to refer to Cathy Corison as under the radar; among insider’s she’s anything but, having won several awards for her distinctive wines. However, to the larger public she may be little known since she produces only about 2500 cases per year. 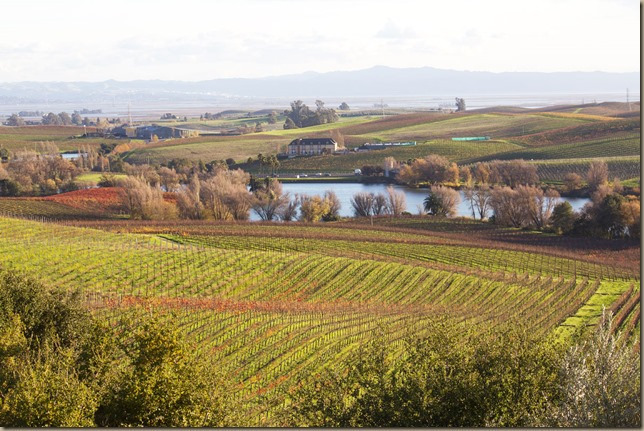 Corison’s approach to winemaking exemplifies what Napa Cabernet used to be before the trend toward ripeness and high alcohol took hold. Her wines are restrained yet taut and elegant with savory herbal notes complementing the fruit and plenty of fresh acidity. The staff is experienced and knowledgeable and the tasting flight often includes a wine from their library. We were treated to their 1999 Napa Cabernet, one of the finest wines I’ve tasted all year. Putting library wines on the tasting flight is a sign of quality and care; it demonstrates the winery’s commitment to showing their wines when they are at their peak. Since these wines are inherently rare it also shows a winery not interested in entertaining the hordes. The tasting room is comfortable but decidedly unglamorous since it occupies one corner of the barrel room. Best of all, there is no room for limos in the parking lot and not a faux Romanesque statue in sight. This is artisan winemaking at it’s best and a great place to forget you are visiting the “Disneyland of wine”. If you’ve been avoiding Napa because of the crowds and the hype just do a bit of research and look for unusual experiences. The expense unfortunately is unavoidable but the experience can be worth every penny. Cross posted on Edible Arts on 4/5/2017.